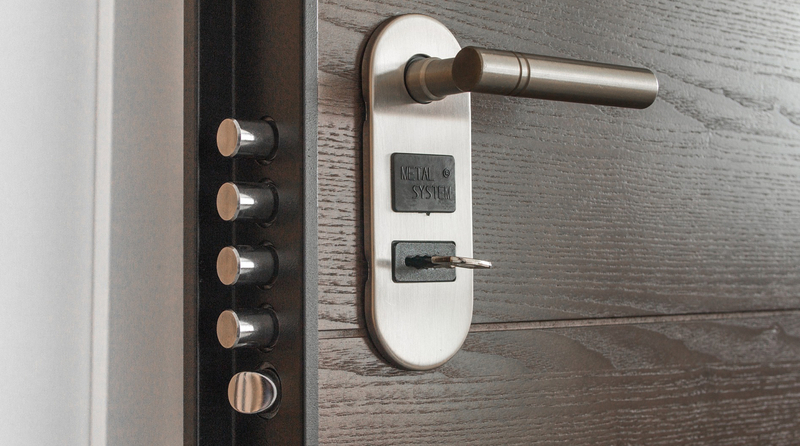 In the vast majority of cases where you think you might have a lock problem, the real culprit reason for the problem lies elsewhere, and statistically more than 80% of the time it has nothing whatsoever to do with the lock itself. Listed below are some of the most common causes of problems which appear to be lock issues, but which are actually attributable to other reasons entirely. Loose hinges can cause a great many problems, and if they happen to be poorly mounted in the first place, hinges can cause even greater problems. For instance, if the hinges are not securely mounted and the door is not properly positioned, the door may sag, thereby severely interfering with the necessary alignment between lock and strikes. The most obvious giveaway for this condition is in checking the gap between the jamb and the door, and finding that the gap is not uniform between top and bottom. This almost always means the door will not be situated right, and lock problems will be the likely result. Even if the door has been installed and hung properly, problems can result if the strike was carelessly or improperly installed, because for proper functioning, bolts and latches need to be centered with their respective strikes. The entry lock latch must have its strike positioned in such a manner that the dead latch plunger cannot fall into the opening for the strike, and the strike itself should be installed with screws at least three inches long, so that the strike is well anchored into the framing behind the door jamb. The internal pins on a lock have been ideally matched with their keys to ensure smooth functionality, and if you lose the original key which was 100% compatible, the replacement key may not be quite so ideally matched. Even a minor variation can have a huge impact on key operation, causing it to become completely unworkable. Even worse, sometimes it becomes necessary to make duplicates from duplicates, and in such cases, any small variation can get magnified into an even larger incompatibility, and more ‘lock’ problems may develop. Lock problems are not generally repairable by do-it-yourself-er types, even if they aren’t truly lock problems. When any of these kinds of problems develop, your best recourse is almost always to contact your local expert locksmith and have the problem professionally resolved. In many of those cases, the best option will involve re-keying the lock itself, and preparing an entirely new set of keys to match that new lock. Your residential locksmith will have the knowledge, the skills, and the high-quality products on hand to expertly handle your lock crisis and solve your access problems in the fastest and most effective manner possible.